Offering you a complete choice of products which include paper corrugation machine, corrugating machine and paper box machinery. We manufacture, export and supply a range of Paper Corrugation Machines that offers high rate of productivity and enhanced efficiency. Both vertical and oblique paper corrugation machines are available with us. 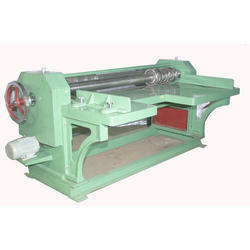 We are recognized as Manufacturer & Exporter of Corrugation Machine. Our range includes Corrugation Machine Vertical, Corrugation Machine Oblique, Paper Corrugation Machine. All our products are developed in compliance with all the set industry standards. All the final products are quality tested on defined parameters. We are one of the renowned corrugation machine manufacturer in India. We are renowned Corrugation Machine manufacturer in Faridabad. Our range of Corrugating Machine is installed with two pre heaters which increases the production capacity and enhances the efficiency. We manufacture, export and supply Corrugation Machine (Oblique) worldwide. The machine is installed with the rolls on roller bearing for smooth running, long service life and for the perfect formation of flutes & lubrication system. The high temperature fluorinated grease helps in the re-circulating the oil lubrication system, which prevents wastage of oil and leakage. No adjustments and tuning required, when the roll carriage is fixed. These machines are useful in making the carton boxes. We manufacture, export and supply a range of Paper Box Machinery that offers high rate of productivity and enhanced efficiency. Both vertical and oblique paper corrugation machines are available with us. We are recognized asManufacturer & Exporter of Paper Box Machine. Our range includes Corrugation Machine Vertical, Corrugation Machine Oblique, Paper Corrugation Machine. All our products are developed in compliance with all the set industry standards. All the final products are quality tested on defined parameters. We are one of the renowned corrugation machine manufacturer in India. We are renowned Corrugation Machine manufacturer in Faridabad. No. 5, D- 107, N. I. T.